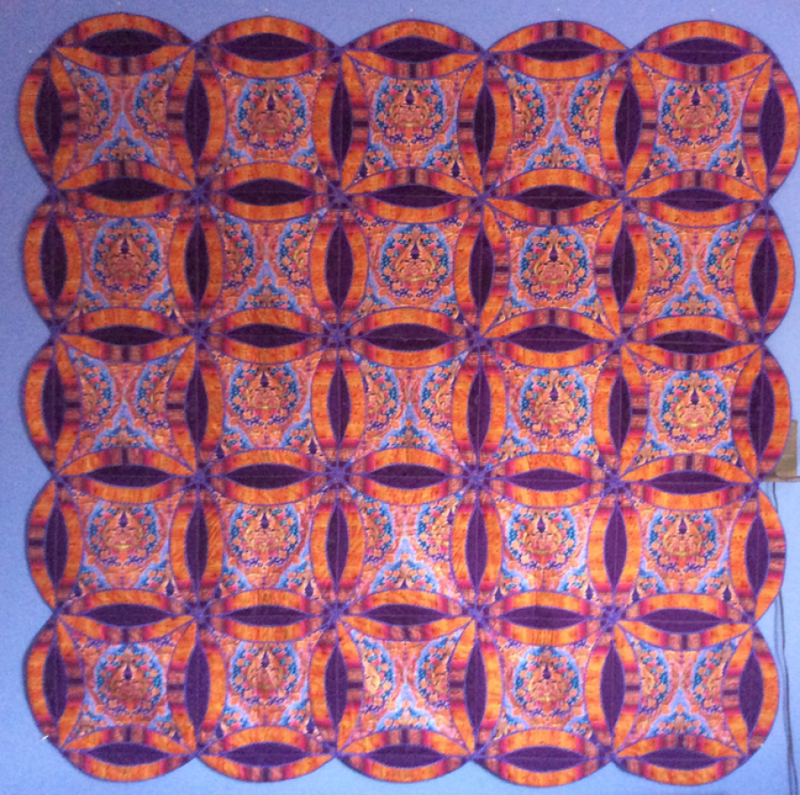 Today, Sue sent us some pictures of her Rings that Bind quilt. 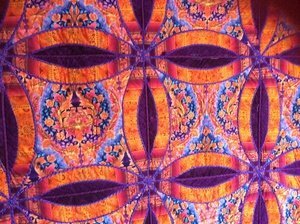 A first place winner at her local quilt shop!! Isn't it amazing. I just love how even when things don't go as planned, we can overcome these obstacles! When her circles didn't join like she wanted she decided to use some gorgeous ribbon yarn to couch over the top of it. What a fantastic result!! Thank you so much for sharing your creation with us Sue! You're a treasure!